Manchester City boss Pep Guardiola took time out to sample the fine dining at his restaurant Tast in the city centre on Tuesday evening. 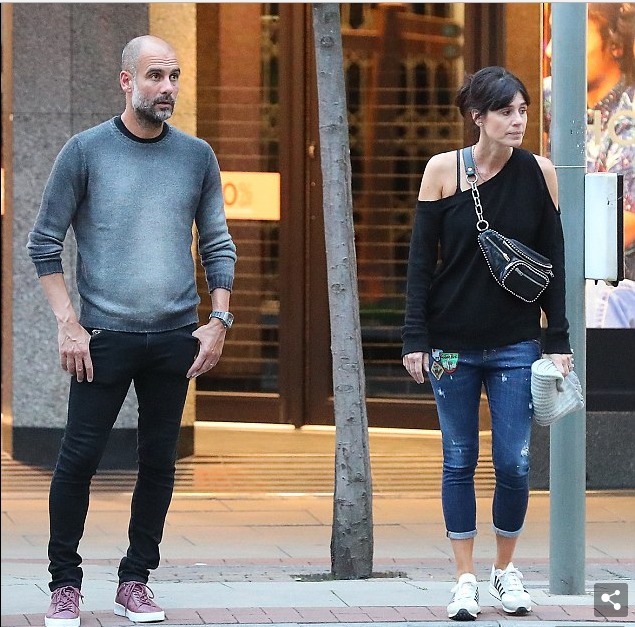 Guardiola was accompanied by his wife Cristina Serra as the pair spent the evening at the eatery famed for its Catalan cuisine. The City boss, along with club CEO Ferran Soriano and director of football Txiki Begiristain, acquired Tast, which is headed up by two Michelin-starred Catalan chef Paco Perez, back in February. The three-storey restaurant boasts a casual dining and bar area on the ground floor, a first-floor dining room and a second floor with private rooms offering a tasting menu. However, the Premier League champions’ title defence got off to a roaring start with a convincing 2-0 win over Arsenal last weekend, which certainly gave Guardiola cause for a night of relaxation.